Safe & fun peddling action! 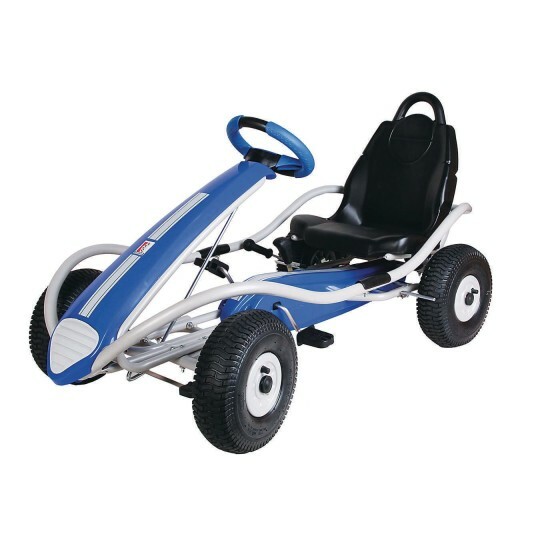 Measures 22” to 25” (Seat to Pedal); 11-1/2” (Seat to Floor); Weighs 40 lbs. Durability, functionality, fun and safety are particularly important to Kettler, especially when it comes to kids ride-ons. 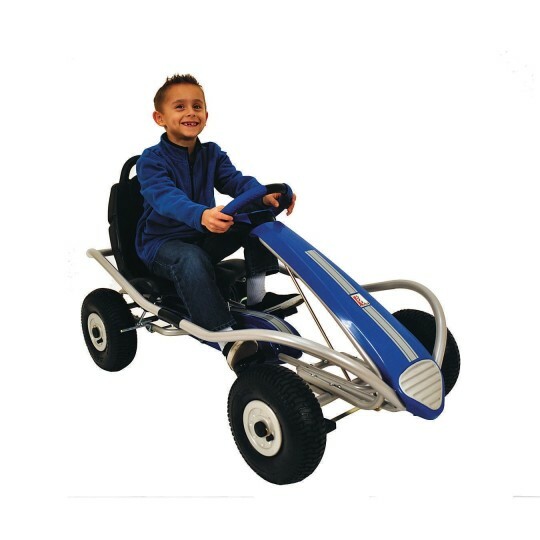 The Dakar Racer S Pedal Car in high carbon steel frame with fade resistant powder coat finish features durable air tires, 3-position easy adjust high-back racing seat, and coasting shifter. Safety enhancements include fully enclosed chain guard and dual rear wheel hand brake. For children up to 150 lbs. Measures 22” to 25” (Seat to Pedal); 11-1/2” (Seat to Floor). Weighs 40 lbs.